Tallit and Tefilin Bag made of high quality Velvet by Ronit Gur. 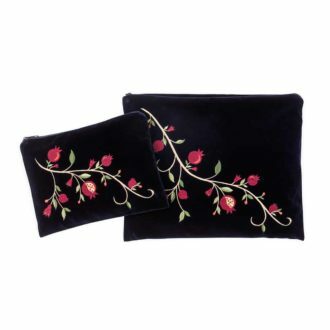 The Velvet combination with the unique Embroidery creates an elegant and elegant look. The set comes with rigid nylon for maximum maintenance. The product is sewn with very high quality and finish. made in Israel! Shipping and Refunds for "Tallit and Tefilin Bag - Blue Velvet Blue Star of David"